Don't tell anyone... Croatia is Europe's hottest new destination, the sapphire in its crown! Along Croatia's 1778 kilometers of coastline, the dazzling blue Adriatic Sea washes into rocky coves and bright sand beaches. Ancient Istrian harbors bustle with fishermen while children dive into the sparkling water. Dalmatian cities pulse with nightlife amid ancient Roman ruins - and of course there's the magical city of Dubrovnik, adorned with Renaissance carvings and shining, marble-paved streets. There's the #1 beach in Europe, Punta Rata in Brela, and the famous Golden Horn beach in Bol on the island of Brac. If it's world history you'd like to taste, you can't miss the city of Korcula, where Marco Polo was born. Croatia's 1185 islands make it a yachter's paradise on earth. There's one for every taste, from forgotten outposts aging in the Adriatic sun to lushly wooded Shangri-La's complete with mountains, lakes, vineyards, oaks and olive trees. The interior landscape is no less beguiling. Soak in a thermal spa in the rolling hills of the north. Hike through pristine forests watered by mountain streams in the west. Let the waterfalls of Plitvice moisten your face, walk on the sandbanks of the Neretva Delta... Soak your right leg in the cool waters of the Neretva River while your left warms itself in the Adriatic! 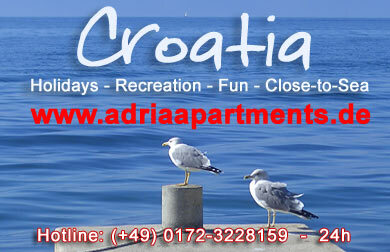 But Croatia is so much more than just beautiful scenery. The country that endured Roman, Venetian, Italian, French and Austro-Hungarian rule has a complex and unique cultural identity. You'll find a strong Central European flavor in Zagreb, while the Mediterranean passion for "the sweet life" shines through in the coast's food and lifestyle. During holidays and festivals the country's Slavic soul emerges as colors whirl in traditional folk dances and melodies. It all adds up to a relaxed, easy-going country that offers unparalleled opportunities for experiencing vibrant culture, exquisite food and wine, adventure, romance and breathtaking beauty. I have selected the very best seaside accommodations for you from a handful of friendly, privately owned villas and estates throughout Croatia. View the photos captured by world-class photographer Julius Silver in my image galleries, and then decide where you'd like to spend your holiday in Croatia, a true paradise on Earth. But, please, try to keep it a secret!